to health and happy waistlines! I probably avoided eating, cooking, or ordering quinoa due to the sheer fact that I had no idea how to pronounce it. But I’m proud to say that now I can pronounce it with confidence, and I can’t get enough of it! 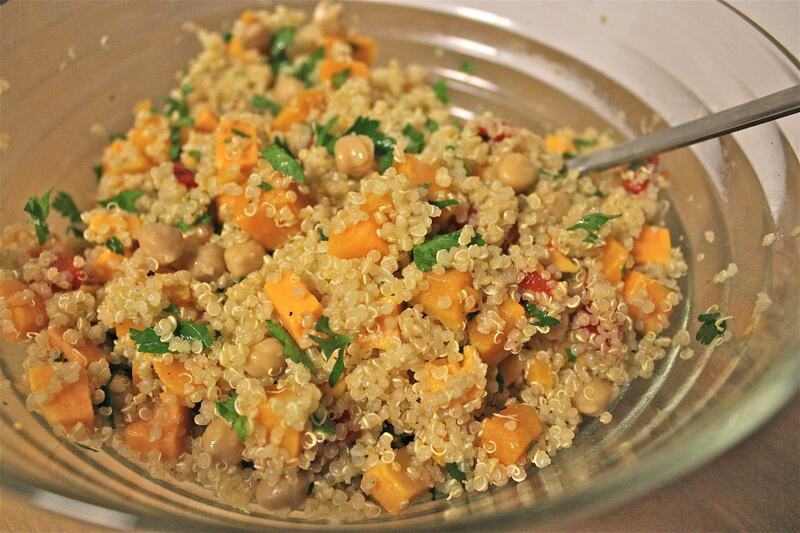 If you’ve never had quinoa, it’s very similar to couscous but with a firmer texture and slightly nuttier flavor. 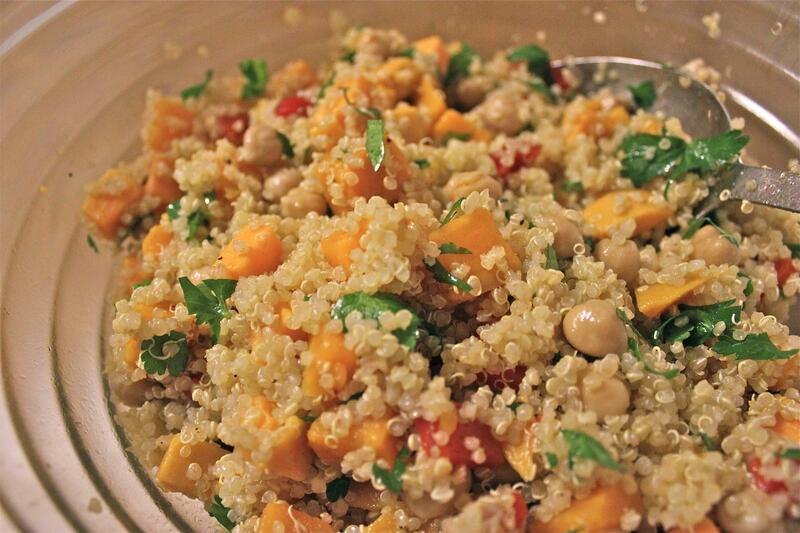 Quinoa is also packed with protein and hence super-filling– ideal for vegetarians! Lunch on the steps of the Met! 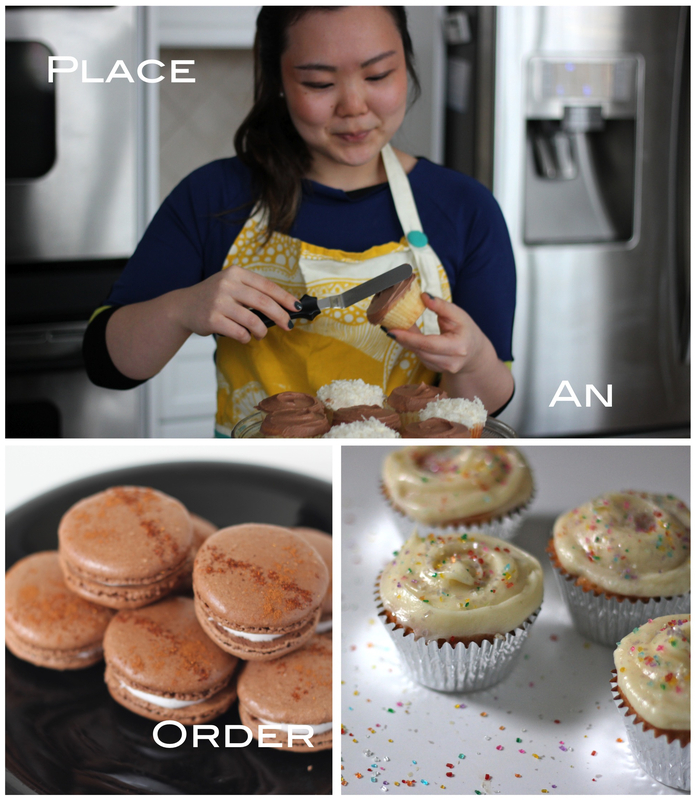 This recipe is very adaptable in that you can pretty much add whatever suits your palette. My favorite additions usually include chickpeas and feta (which I kept out this time to keep it vegan and healthier… remember, the clothes, people!) Feel free to add whatever other goodies, i.e. arugula, crumbled goat cheese, pomegranate seeds, etc. suit your taste (and figure). (1) Cook the quinoa according to the directions on the package. Once cooked, let cool completely. 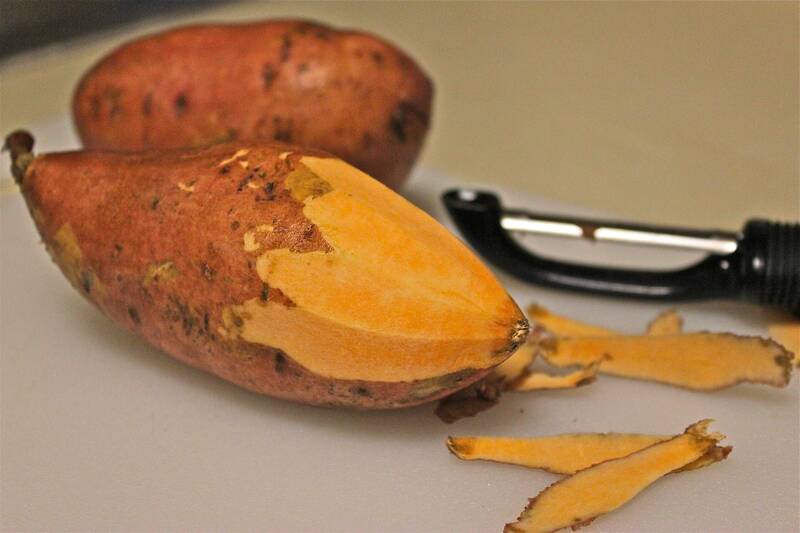 (2) While the quinoa is cooking, peel the sweet potatoes and dice into ½-inch cubes. Cook in boiling salted water until fork tender, about 15 minutes; once done, wash in cold water to stop further cooking and drain well. 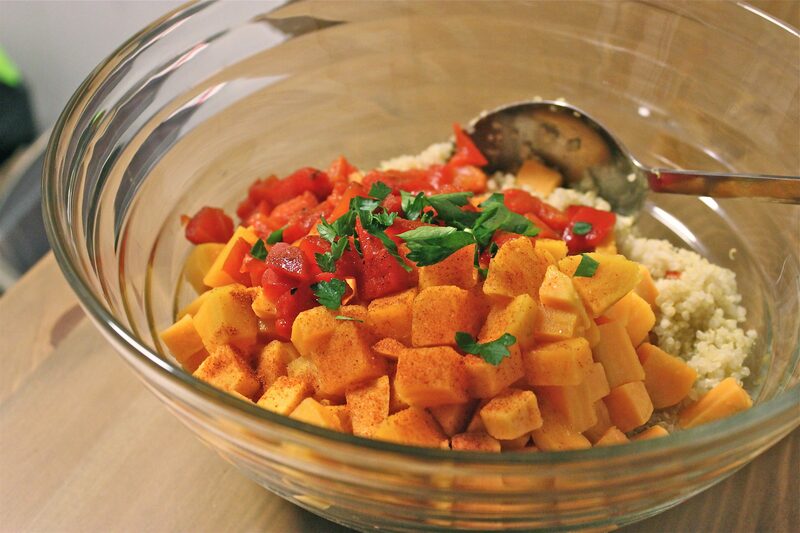 (3) In a large bowl, toss together the quinoa, sweet potatoes, roasted bell pepper and onion. Add the oil and vinegar, and sprinkle with cayenne pepper, salt and pepper. (4) Using kitchen sheers, snip in the fresh parsley then toss the salad. Taste and adjust the seasoning to your liking. Let the salad sit for at least an hour to allow for all the flavors to blend together.